We listened to the feedback from those of you who own multiple businesses and are delighted to introduce multi business accounts! 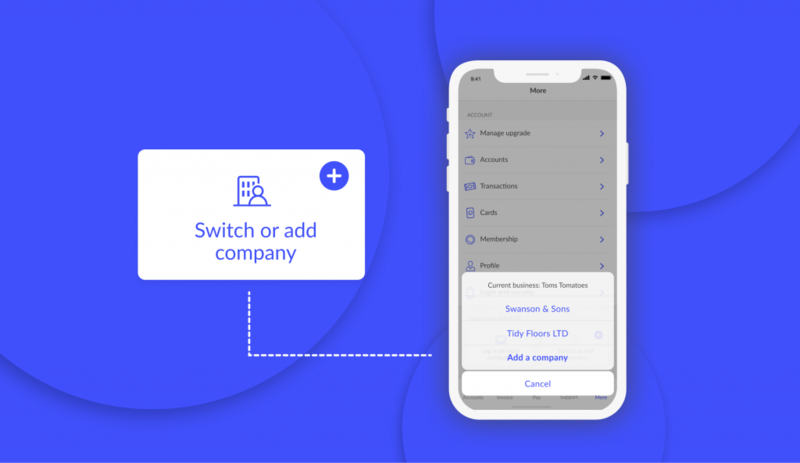 You can now access up to five businesses on the same Tide app, switching between them with ease. We’re rolling this feature out to our members over the next couple of weeks so keep an eye out for updates in the app store (it will only be available for iOS to begin with). Once you have more than one business you can switch between them here. When creating a new account for an additional business, make sure you enter a unique email address when prompted. If you want to pair an existing account to your phone, enter the email address associated with that account. We’re always keen to hear what you think of Tide – what you love and what you think we can do better. You can give us your feedback either through the in-app chat, or by emailing hello@tide.co.